FAIRFIELD Villa avenged their cup exit to Coton Green by beating the visitors 3-1 in MFL Division 2 last weekend, ahead of their visit to Moors Academy on Saturday. James McKeon and Jarred Hill replaced Scott Mancell and Dan Wilkes against the sixth placed side as the only changes from the thrashing of Hampton. The hosts started brightest and looked threatening, whilst Coton Green similarly created chances but were unable to add composure to their finishing. It would take a spectacular, if not unusual, strike from distance in the 25th minute from Alfie Bloomer to open the scoring. Striking a shot lacking in power, the unfortunate keeper lost his footing and saw the ball go underneath him and into the net – not that Bloomer would mind. As the intensity of the game heated up. it would take the substitution of Peter Jenvey to enact some control over the game once more. Matt Jackson’s darting run down the left-flank ended with a cross that was inch-perfect for Connor Collins to head beyond the keeper for Fairfield’s second. 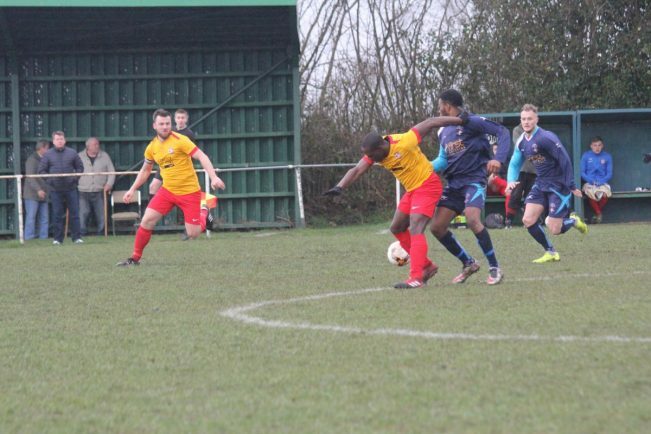 The cushion allowed a third goal to arrive two minutes later, when Ellis Blakemore’s centre was lashed home by the head of substitute Dan Wilkes. Coton Green did pull a goal back in the 92nd minute despite protests over a push on a Fairfield player, but it proves another vital three points in Villa’s promotion push. Saturday’s hosts sit directly behind Fairfield in the table in fifth, having drawn the previous two games 3-3 in the cup – which Fairfield won on penalties, and a 2-2 league draw at the Recreation Ground.